So this is the first official post on the blog. 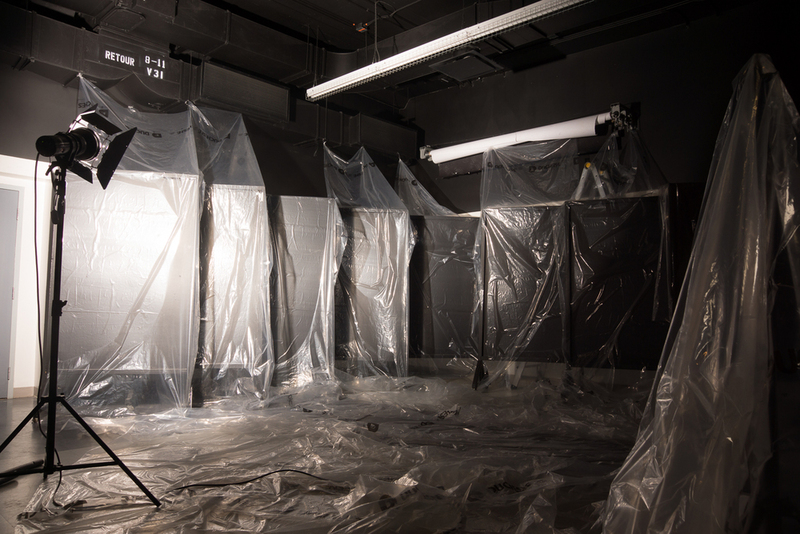 The next few posts will mostly be BTS (behind the scenes) of the Fresco project. I'll try to mix images, videos and GIFs. The Adam and Eve was a no brainer...what I mean is that I couldn't create a biblical piece and not include Adam & Eve. Like every scene of the Fresco, my research starts by a passage and by an illustration of Gustave Doré. 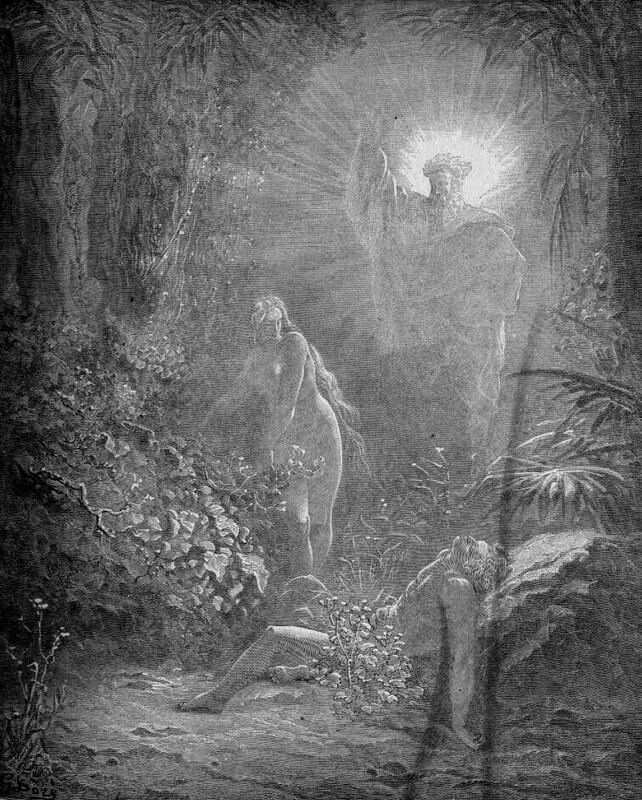 For Adam and Eve, Doré's work was conventional and I was looking for something much more imaginative but I was very interested in the expressions and positions he gave to his subjects so I kept that in mind. My first few ideas for the fresco came from sample images I found on Pinterest of this technological cylinder. At this point I knew I wanted to play with the idea cryogenic incubators and cloning. So I started thinking what part of Adam and Eve should I illustrate, and so after a couple times rereading the stories I chose the moment Adam gives life to Eve. 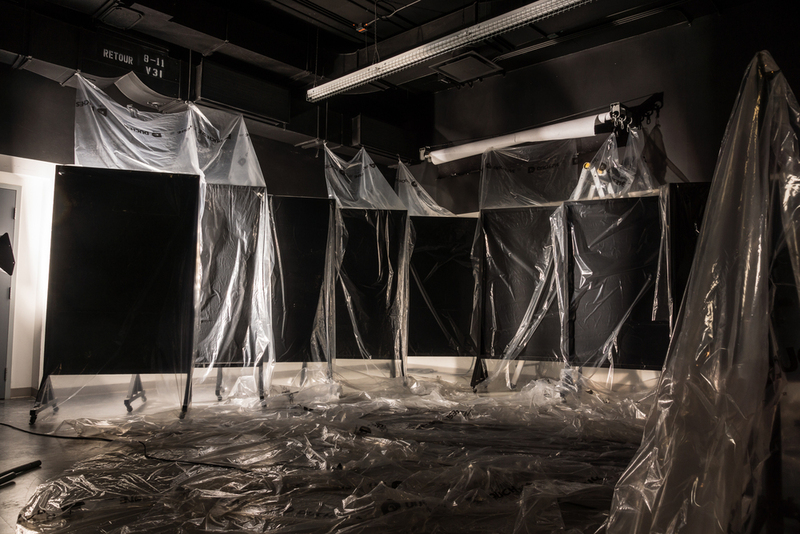 Here are a few of the sample research images. I'm sorry I don't have records of who are the original artists. :( if you do please leave a comment and I'll update the post. I started thinking what I needed to build the set and got help from various friends to help me evaluate how it could work and where could I get it. 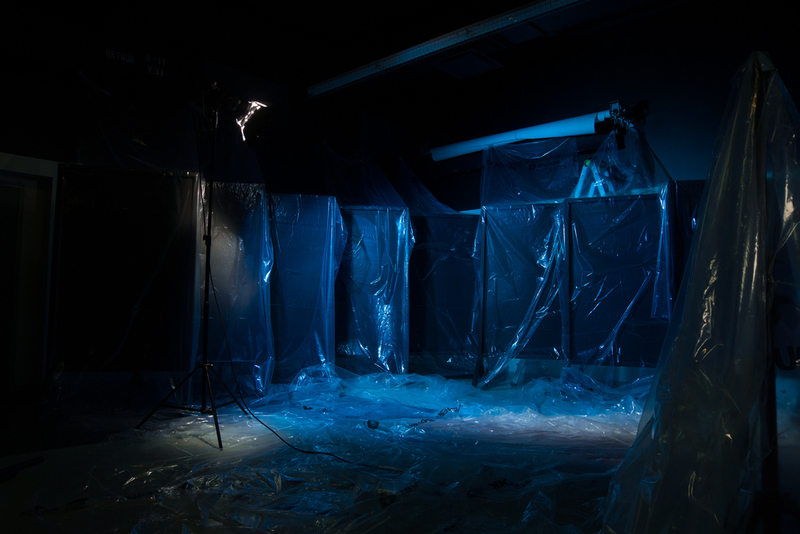 I ended up using ventilation tubes, 24 feet by 100 feet plastic tarps, Plexiglas sheets, various blue gels, and panels we had in the studio. At this point I had already contacted Epic Talent for potential models and was able to take a look at their portfolios. Brad Hamelin's bright orange hear and beard stroke me and I found I thought it could really strike the imaginary as Adam. Brad seemed very interested in the project and so working with him was so easy. All I really had to do was give him lines of what was happening and the emotion Adam should be feeling and he conveyed them very nicely to the camera. With only a few sample images from Gustave Doré Brad gave life to Adam in the exact way I intended. I don't think I have to explain in depth the lighting, the background was lit part by part then Adam then Eve, I then added front element that I back lit to give some depth and voila! Here are lighting-diagrams for the techy ones. So this was a quick overview of the shoot. Comment if you have any questions about the project. Stay tuned for other BTS content or other final images such as the animated version of Eve.